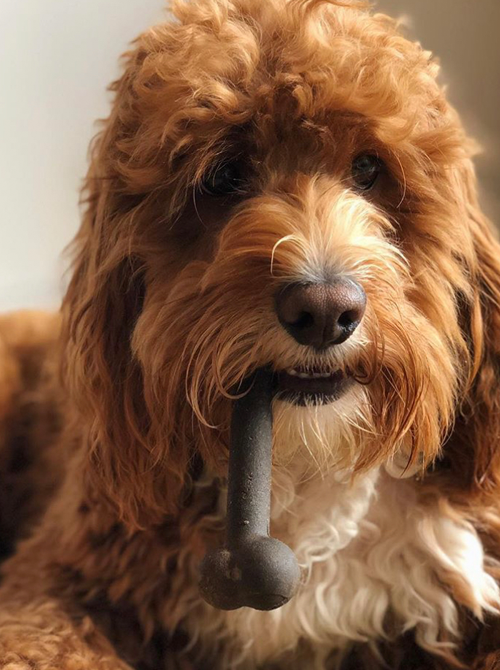 Here’s why everyone needs a cute and clever Cockapoo in their lives. Those eyes… Look into a Cockapoo’s upturned face, and we guarantee you’ll melt faster than a snowball in a microwave. The expression “puppy dog eyes” could have been created for this adorable-looking breed. They come in a range of colours, and their coats go from curly-whirly to strokable satin. They are reasonably small (the very biggest is about 18”), and packed full of energy, curiosity and intelligence. For their pet parents, they are deeply rewarding dogs, as they’re loyal, loving, and great company. Who could possibly ask for more? Their trainability makes the Cockapoo a good service dog. You’ll find Cockapoos working as hearing dogs or assistance dogs, and their friendly natures make them excellent therapy dogs. If you think your Cockapoo has the right temperament, you can apply for him or her to join a Pets As Therapy (PAT) team. 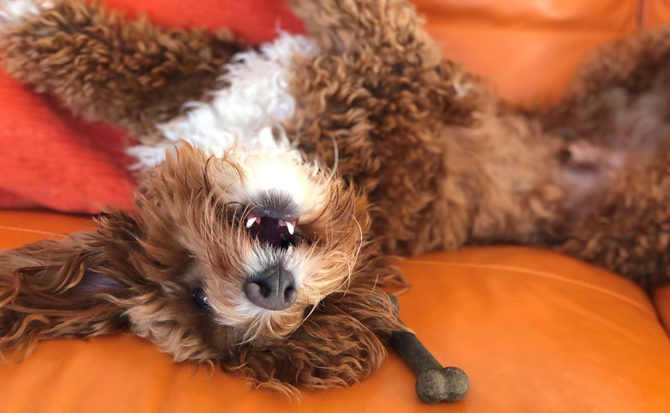 As well as benefiting the people they visit, your sociable Cockapoo will enjoy the stimulation of new faces and places. If you want a dog who’ll happily go for a run with you, a Cockapoo is a great choice. These energetic dogs love to scamper and play, and their busy brains need exercise too. Keep your clever Cockapoo stimulated with something like agility training (if you want to try your hands at Crufts, this is the dog for you) or scent-based activities. They’re also loving and affectionate dogs who enjoy human company. As they’re both cuddly and playful, they make good family pets; however, their companiable nature makes them a lovely addition to a smaller household, too. Cockapoos come with three broad hair types, depending on the Cocker: Poodle ratio. A lot of the latter results in tighter curls, then comes a looser, more ringletty variety. As the Cocker input increases, you get a straighter, wavier coat. Cockapoos with coarser curls moult very little (but whatever you’ve heard, they’re never completely hypoallergenic), which is a blessing, but they will need a good grooming regime. Diet can also help with coat maintenance. 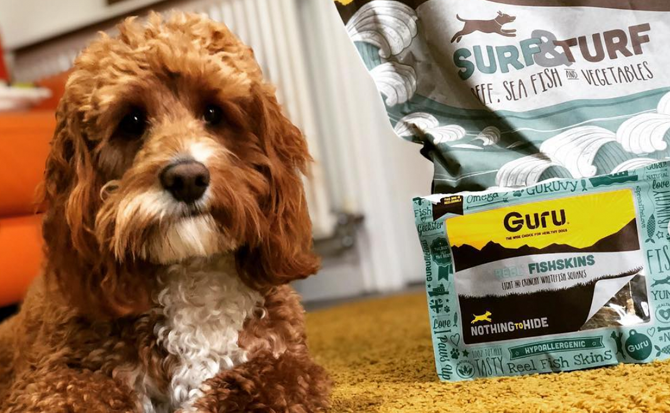 The cold-pressed oils in Guru are fantastic for their fur, and we’ve had feedback from professional groomers that Guru-fed dogs’ curls are easier to brush and manage. Speaking of dog food, Cockapoos, for all their intelligence, can be super-fussy eaters. This possibly comes from their poodle side, as they can be very picky. 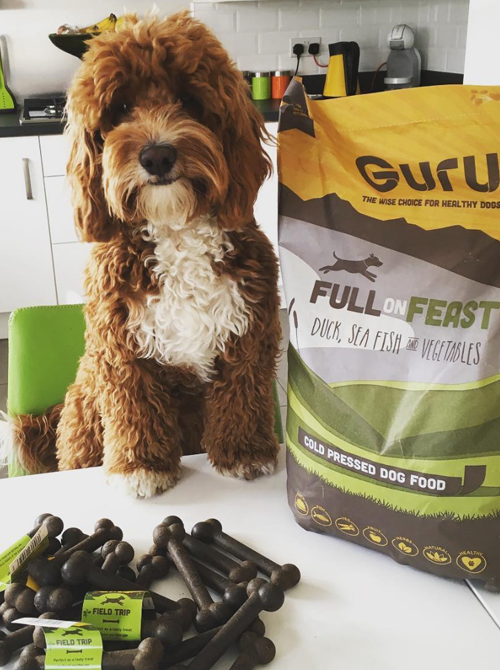 So, at Guru, we’re always extremely flattered when Cockapoo owners get in touch to tell us that their pets love Guru, and how well the food transitioning process is going! Cockapoos don’t always like a dry kibble, and if your dog’s like this, you can serve Guru as a wet meal. Measure out the correct amount of Guru, and add 125ml warm water for every 100g of food. Leave the mix to stand for five minutes, then gently stir it. Make sure it’s cool before setting the bowl down, then stand back and watch your Cockapoo tuck in! The wet feeding method is especially good for smaller Cockapoos. What’s not to love? Make sure they get the food they like (Guru, naturally!) and keep those curls brushed, and you have an easy-going, beautiful and intelligent companion.